Infertility refers to an adverse health condition, when an individual is not able to reproduce naturally. 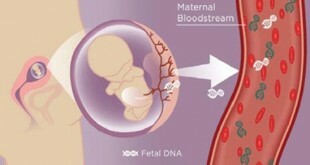 For humans, this condition basically denotes when a woman is not able to conceive or complete the period of pregnancy. However, based on medical facts, the reasons for infertility may involve either the males or the female and sometimes both. In women the causes of infertility is majorly due to physical problems unlike male infertility where the major causes are poor lifestyle and unhealthy diets like heavy alcohol use, drugs, smoking, age, polluted environment due to pesticides or even lead. Nowadays, most infertility disorders can be treated successfully using medication or surgery. Ovulatory Problems: In this disorder the ovaries are averted from producing eggs. The common causes are hormonal disorders. This is often characterized by extremely heavy and light periods, infrequent periods and sometimes no periods at all. Antibiotics and drugs has made 70% of these cases curable. Fallopian tube damage or blockage : This a condition which arises when there is a blockage of the fallopian tube which results in a prevention for the eggs to get into the uterus or even the sperms from reaching the eggs.The condition is also called Salpingitis. It is mainly caused due to pelvic inflammatory disease, chlamydia, pelvic or genital tuberculosis which is basically sexually transmitted diseases. Endometriosis: In this problem,the uteral line that sheds every month leading to menstrual bleeding, extends the uterus and grows outside it. This hinders proper functioning of the fallopian tube ovaries and of course the uterus. The symptoms are characterized by aching menstrual periods, infrequent or heavy bleeding and possibly, persistent miscarriages. Cervical causes.This is a kind of abnormality of the cervix or even the cervical mucus pertaining to its structure and opening, as a result of which the sperm has a difficulty passing through the cervical canal. Either for abnormal mucus release or an earlier cervical surgical procedure, intrauterine inseminations can be a treatment to cure this. Polycystic ovary syndrome: The cause of this disorder is an increased amount of male hormone release called the testosterone. The characterized symptoms of this syndrome include heavy bleeding, or a complete absence of menstrual period, excessive body hair, acnes. Another cause is central obesity and insulin level elevation. 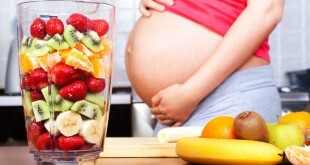 There are several other reasons as well that might lead to infertility and complicated pregnancy. According to scientific research, Poor Life style is one such reason that has been proved to affect our reproductive system adversely. With excessive drinking, frequent smoking, too much of exercise, prolonged starvation and taking undue stress may result in irregular periods, which is one of the most common symptoms of infertility. 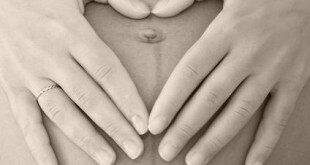 Even women conceiving in late 30’s and early 40’s might lead to miscarriage problems and at times even infertility. This is often because, ovaries have difficulty in releasing eggs and often the eggs are not considered as healthy as it used to be. Considering the age factor and of course a healthy and reformed lifestyle, one can easily avoid infertility issues. Above all, make sure to take advice and treatment only from expert doctors like Dr Kwang Yul Cha who can guide you correctly.